If you're an LG fan, your house is about to get a whole lot smarter with a host of intelligent appliances. The company is focusing on developing not just smart devices but cultivating an entire smart home ecosystem. LG calls the plan "One Touch Connectivity," and the idea is that it lets your phone and LG's various NFC-enabled appliances—including televisions, laundry, ovens, refrigerators, even a smart robotic floor sweeper—work together. Much of this lineup can be controlled via voice or touch commands from a smartphone. 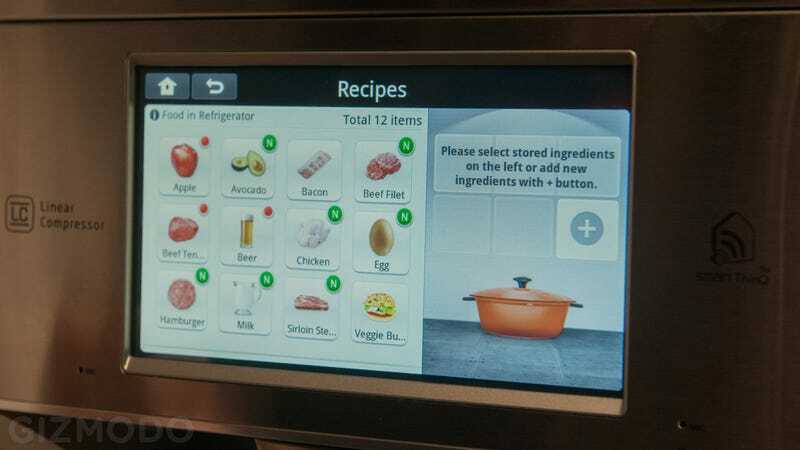 So you'll be able to see if you do, in fact, need milk while at the grocery store, start the roast in your oven before you get home from work, or check the progress of your robotic vacuum from anywhere there's an internet connection.